Complete privacy and not interrupt others! Use in private vehicle and public transportation such as bus, train, airplane, ferry, etc.! Great gift to hospital patients! Used by many hospitals and clinics as patient entertainment - effectively clam down patients. Zero radiation, no damage to your eyes! 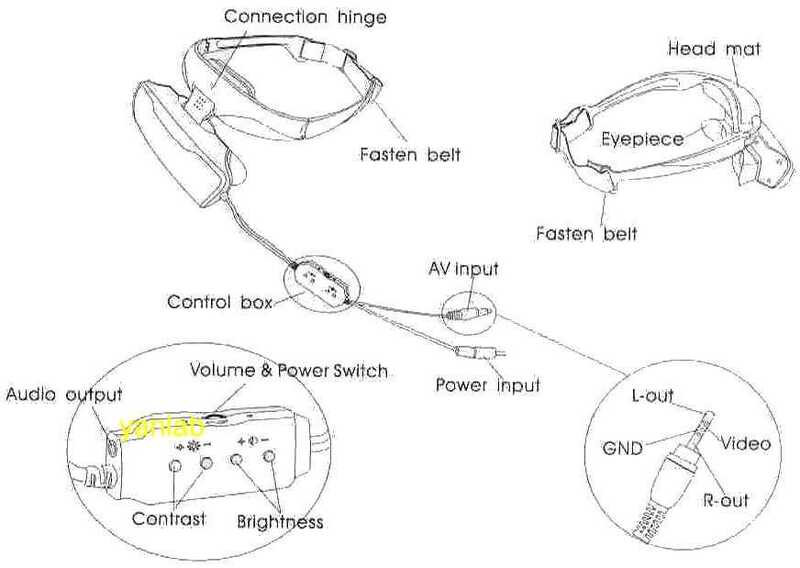 Unique optical system to present a virtual 36 inch big screen color display in front of your eyes! Detachable 2.1 track Dolby surrounding stereo earphones, bringing the true feeling of a personal theater, and you can connect your own high quality headphone for even greater result! 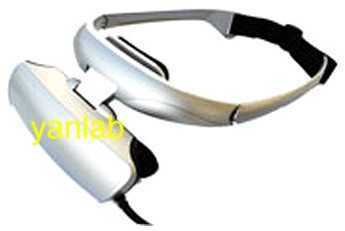 Light, Easy and Comfortable wear with adjustable head strap and ONLY 7 ounces head-wear part weight! 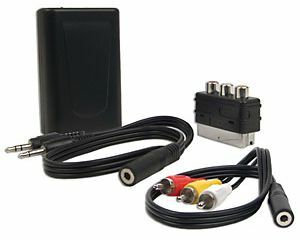 Connect to any RCA type AV source with 2-channel stereo audio: DVD, VCD, VCR, MP4, Game Console, PC, Digital Camera, Video Camera, etc.! On-unit volume control, brightness control , and contrast control! Universal AC/DC power adapter: 100V-240V for convenient international travel use! FREE Original Manufacturer Lithium Rechargeable Battery: up to 8 hours of operation! 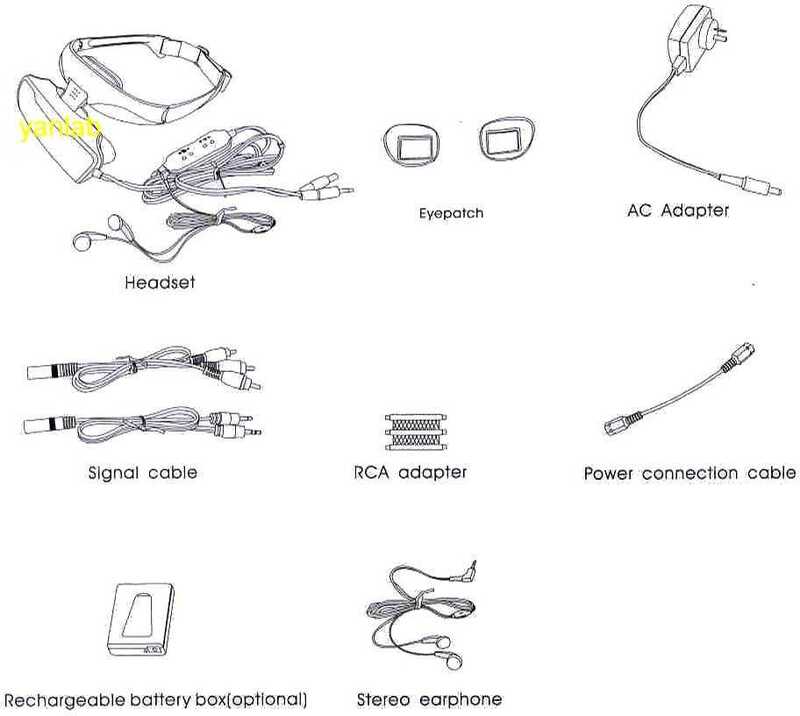 One (1) GVD310 LCD Virtual Display Unit, one (1) Detachable Earphone, two (2) Eye-patch, one (1) AC/DC Power Adapter, three (3) AV/Power Cables, one (1) RCA AV convertor, one (1) User Instruction, plus one (1) FREE Lithium Rechargeable Battery. Note: GVD310 kit is in a plain/nutral white color packaging. Quantity orders ONLY! Contact Us! Copyright © 2008 Rocky Americas Inc. All Rights Reserved.